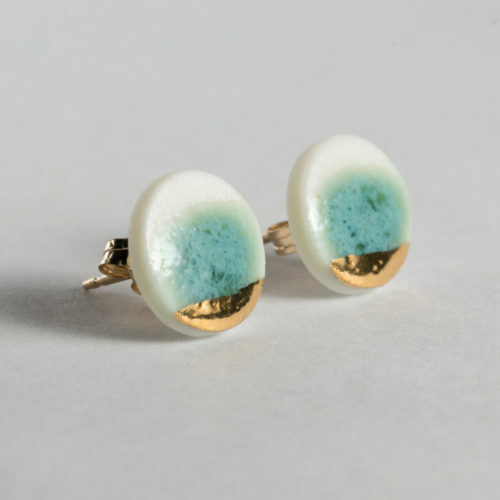 The Lanikai series is inspired by the shallow clear blue waters at Lanikai Beach. 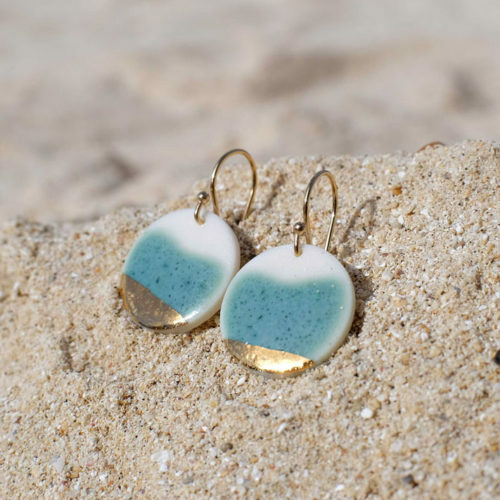 The name Lanikai means “heavenly sea.”which is perfectly fitting for such an amazing 1/2 mile strip of beautiful beach. 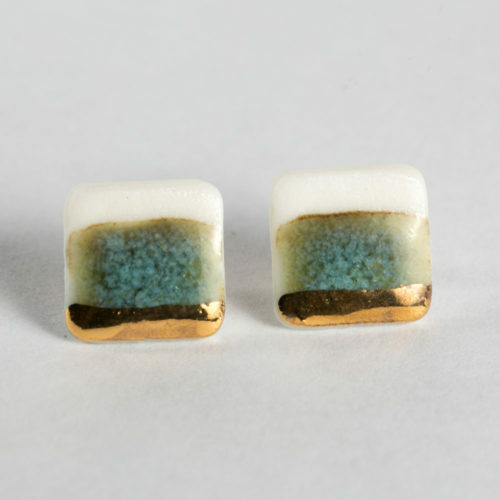 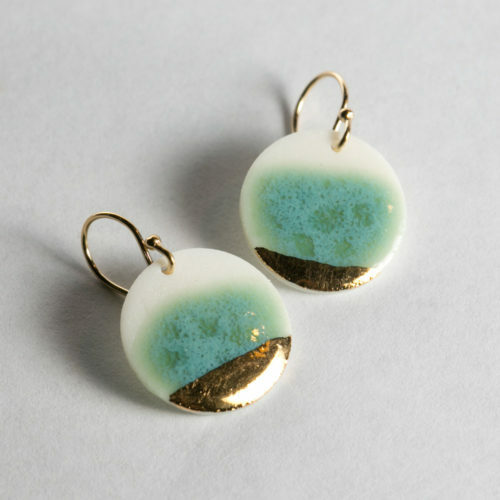 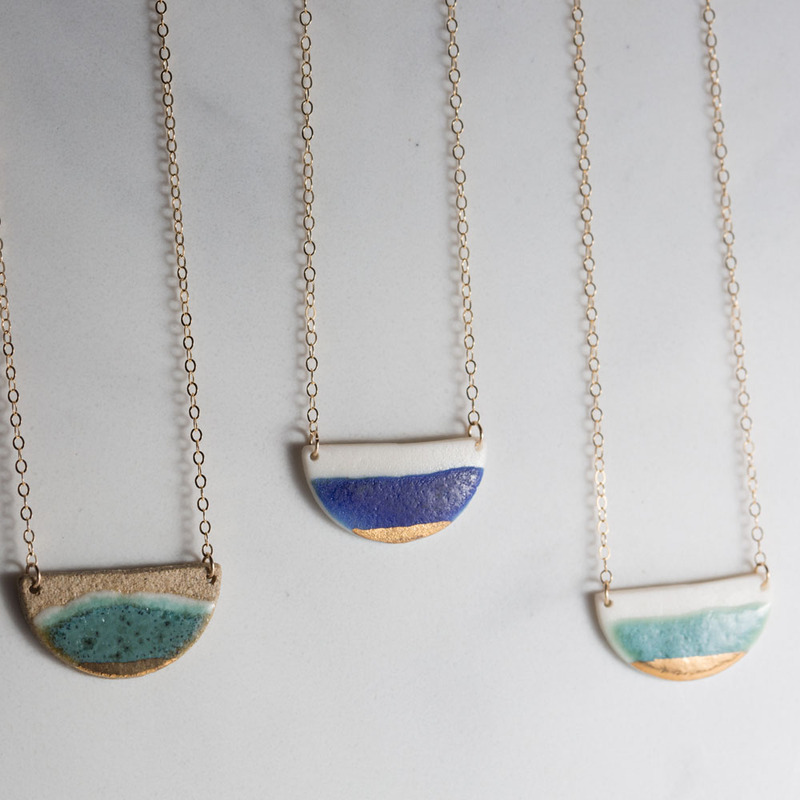 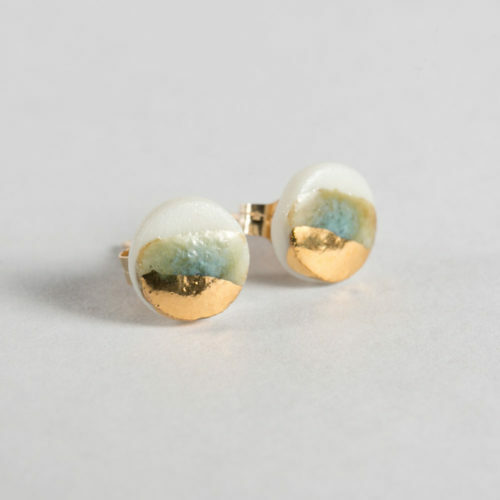 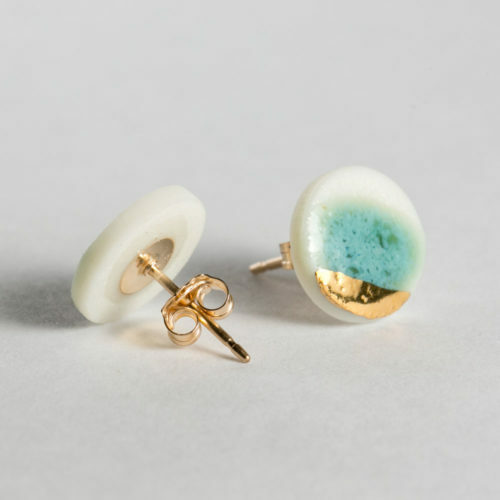 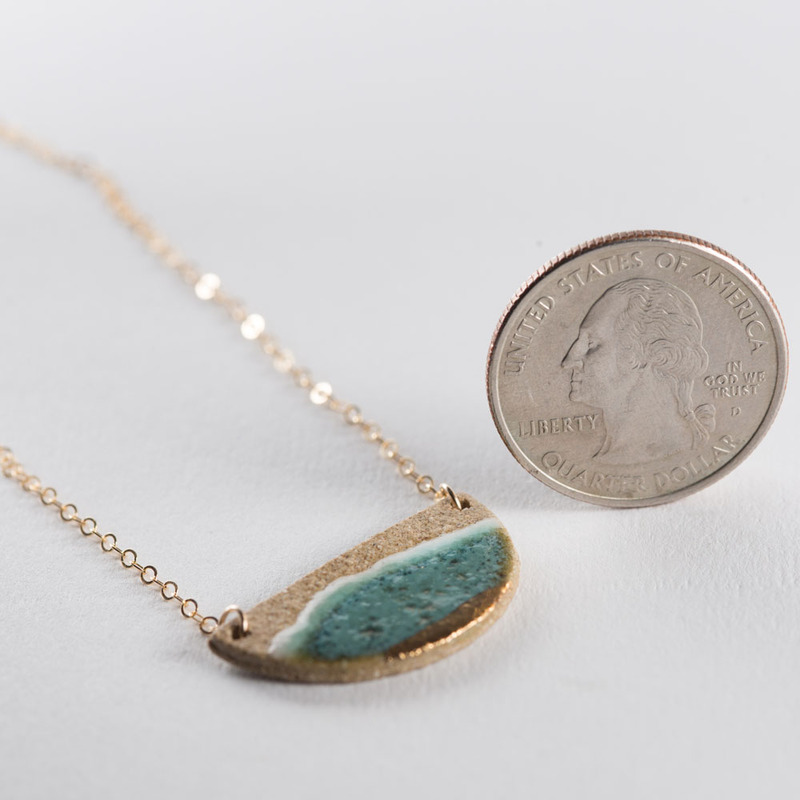 This piece is made out of stoneware clay with a turquoise glaze and finished with a touch of 22k gold luster for the perfect amount of sparkle. 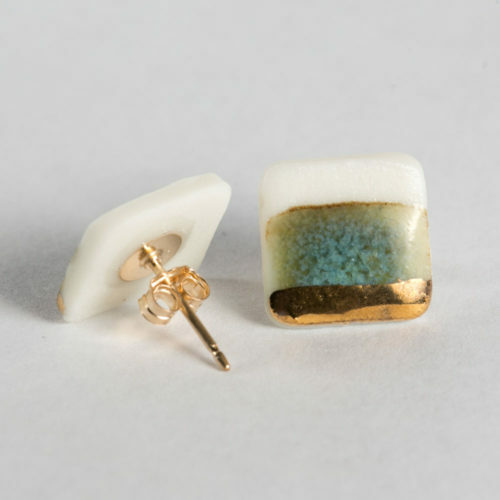 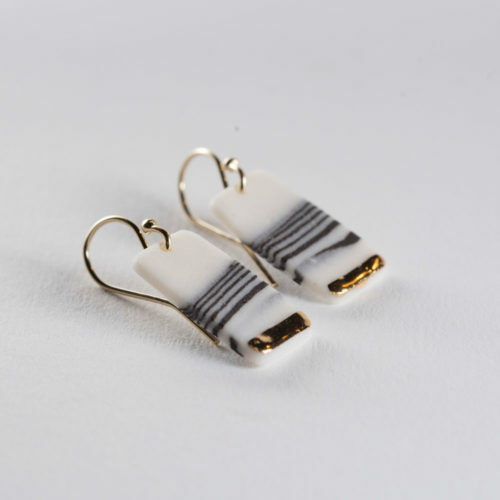 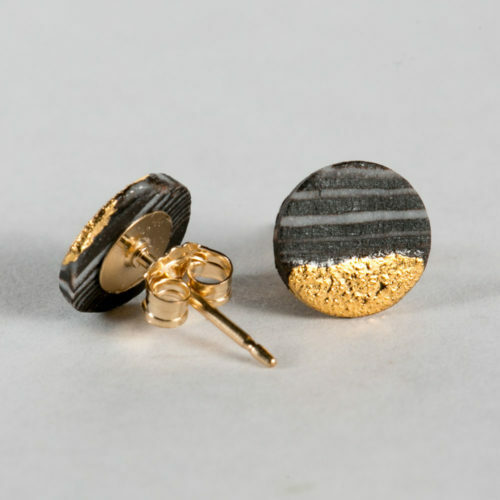 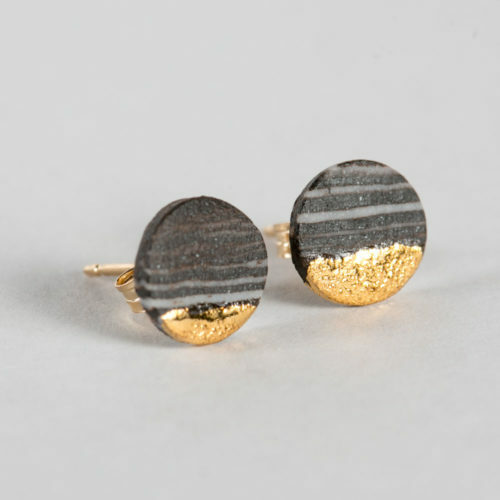 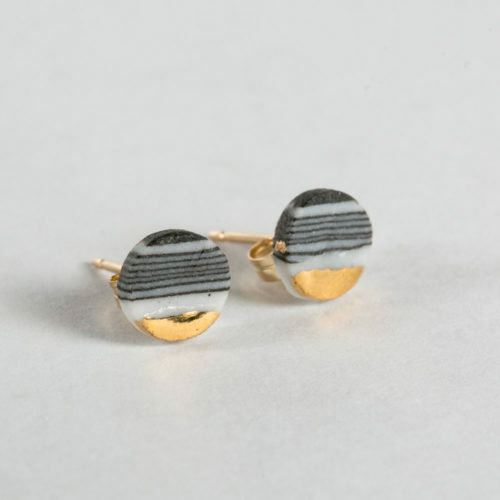 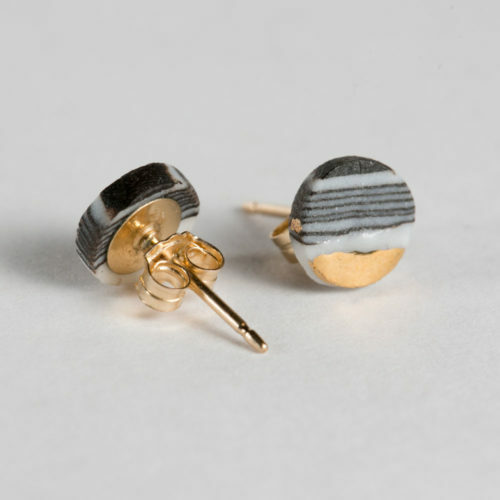 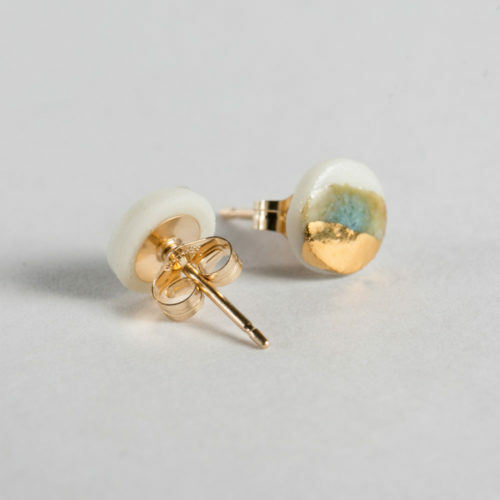 Each piece is handmade and may be slightly different than the earrings pictured. 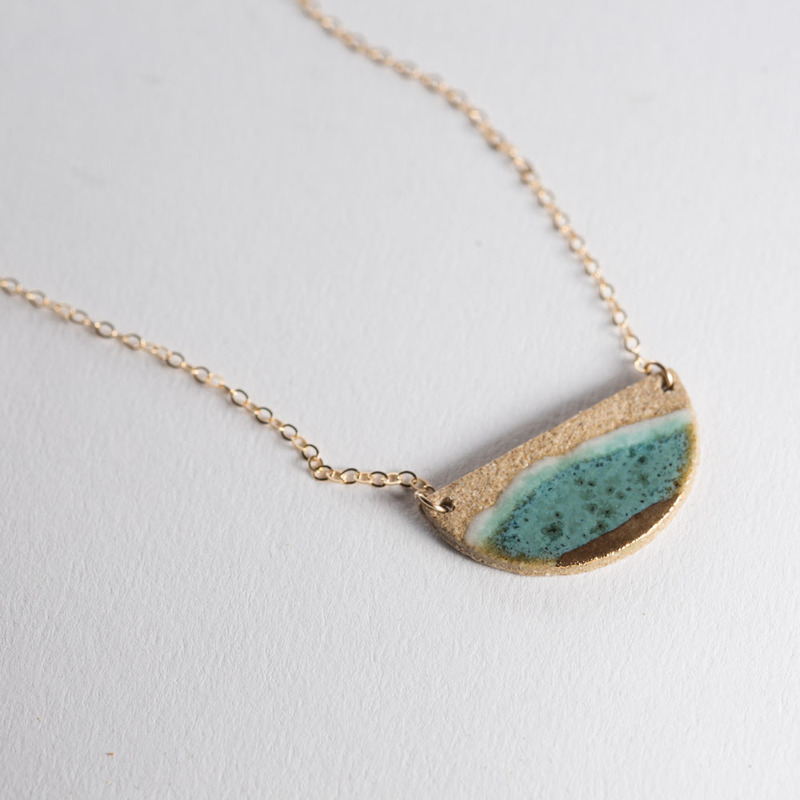 Handmade stoneware, glaze, 22k gold luster, 14k gold fill chain and spring ring clasp.